"The volleyball season is in a full swing and the varsity girls' team just competed in the AISJ International Invitational Tournament (Oct. 2 and 3) and is ready for the ISSEA Tournament in Tanzania (Oct. 6-10). 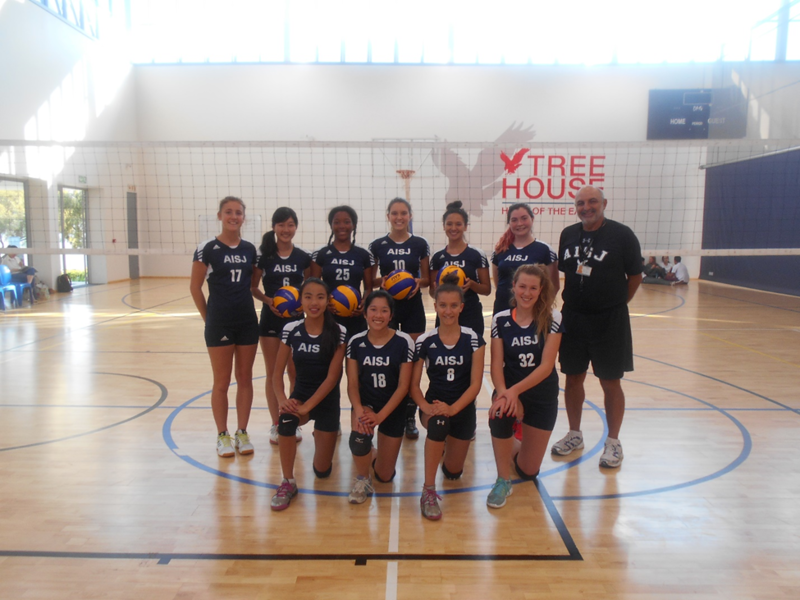 The lady eagles played wonderful volleyball in the AISJ Tournament, winning the first place trophy with a 5 – 0 record! 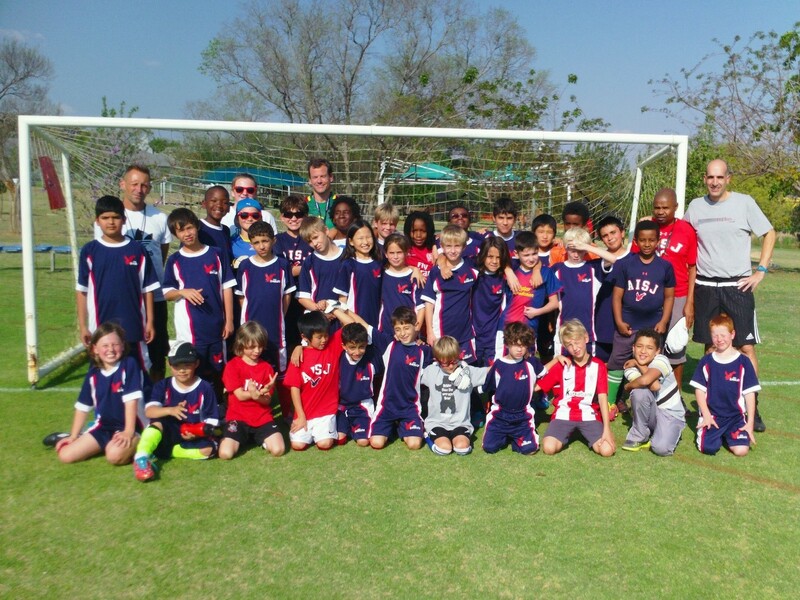 On Saturday, September 12, our young Eagles competed at the Pretoria TUKS University tournament. As the returning champions a lot of pressure was put on the shoulders of our players to repeat. The team played six games winning all of them with convincing scores (Dominican 2-0, Krugersdrop 2-0, Pretoria "B" 2-0, Jeppe "B" 2-0, Pretoria "A" 2-1 and in the championship game Jeppe "A" 2-0). Our young ladies had an outstanding tournament with senior setter Mayu scoring 19 aces and 15 kills, middle hitter Maeve had 23 serves in, 14 aces and 8 kills, captain and outside hitter Joana had 20 kills and 5 aces, co-captain senior Ekedi had 10 kills, senior Mariana had 3 aces and two kills, junior utility player Eline had 10 kills and 4 aces, middle hitter Bethany had 4 aces and 5 kills, junior Sidhonie 2 kills, rookie sophomore Tandi had 4 aces and 4 kills and the only freshman of the team setter/utility player J.P. had 10 aces with 4 kills. Our team is riding on a nine game winning streak and looks very good for the two final tournaments of the season. GO EAGLES! 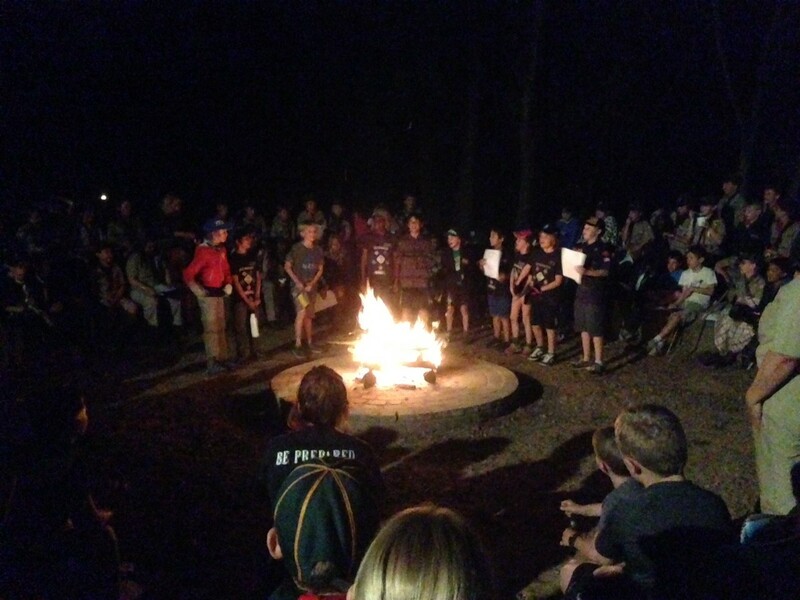 The Cub Scouts have started the year off with a bang, or at least a big fire! We had the great fortune of being invited to join the South African Scouts in their District Night Hike along the Braamfontein Spruit Trail in Bryanston. The children had fun meeting their local counterparts and taught them a campfire song or two. In preparation for the hike, the Tigers and Wolves learned some basic map-reading skills and tested their navigation abilities with a compass by competing in a compass scavenger hunt. By the time the Cub Scouts have their overnight camping trip, they'll be pros! The AISJ track and field team is deep into their season, having competed in several local and international meets at this point. We started the season with an international exchange with the American International School of Mozambique – a cold and rainy event, but the AISJ eagles were able to persevere through the awful weather and post some solid times. The team has also competed in local meets at Heronbridge College and Waterstone College, where the AISJ eagles were able to put themselves to the test against local competitors. Over the course of our fast and furious season many school records have been broken, and the team is looking forward to ISSEA to really put all their hard work and effort on display in Ethiopia. The AISJ Elementary Soccer program is now well and truly underway with both boys and girls from Grades 3 – 5 all participating. So far the season has seen a strong commitment and willingness to learn by all of the players which has impressed all of the coaches. Players have been organized into 4 teams – two Grade 4/5 teams and two Grade 3 teams. All teams have had several games against other schools and performed strongly in each of these. The main goal for all of our teams is to be prepared for the AISJ Soccer tournament which will take place on Saturday 31 October. Well done players and keep up the good work! The Eagles Volleyball teams attended the University of Pretoria TUKS tournament on Sept 12th. 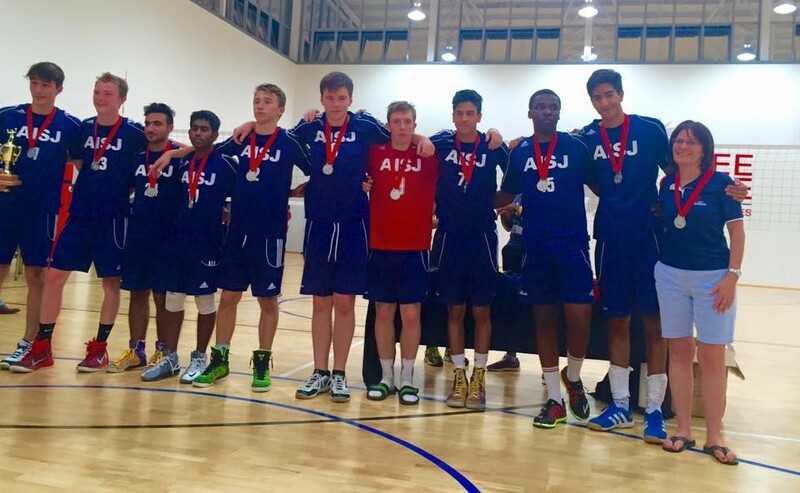 We entered teams in all divisions and represented AISJ very well with 2 silver and 2 gold medals. The U19 Boys repeated their success from last year, as they defeated the Deutsche Internationale Schule Johannesburg (DSJ) in an exciting finale 2-1 to take the tournament U19 Boys Championship. They are commended for their hard work and dedication to the sport, their school and their team. Congratulations to Theo Thomas, Dillan Desai, Reyhan Taneja, Ronnie Breeden, Preston Warner, Aseem Kumar, Dylan Goetz, Nathan Thomas, Izwi Wazara, and Lala Desai on very successful day at this tournament. 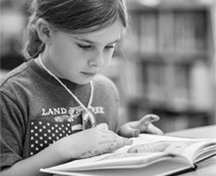 AISJ hosted the Annual Invitational this past weekend. The U19 team of ISSEA players took a silver medal in a tightly contested match against the Deutsche Internationale Schule Johannesburg. We are well matched as evidenced by our final matchups at multiple encounters and events throughout the season. The sets were tight making it a very exciting finish in the 5th set 13-15. We had a solid representation from all the AISJ teams. AISJ Eagles boys travel to Tanzania on Tues. Oct 6th, to defend their ISSEA Championship. Go EAGLES!